Summer is slowly getting to its end and new semester will start with registration in two weeks. Besides January, Autumn is also a time for a new start and self-improvement. 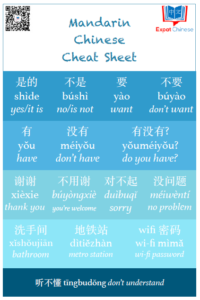 That’s why I’m revisiting my Chinese learning goals for 2012. The first three goals I’m tracking with an app called Way of Life. The free version can have only three goals, but I’m already thinking of paying the 30RMB to unlock unlimited number of goals. This is a very simple app, it asks you daily if you have done something or not. So far it seems to be just what I need! The big challenge is to find interesting TV shows/series as generally I don’t find Chinese TV as interesting as American TV. Yesterday I started watching 北京青年 （In YouTube and in Youku） which seems to be a quite good series, also watching a TV show from Beijing helps me to balance my listening skills as the accent here in Guangzhou is very different. I’ve also watched some Chinese movies recently, like Love and The Second Woman. I also watched The Founding of a Party, but it was very difficult to follow. Besides being quite a boring movie (not because of the topic), the langauge was still too hard for me. I’m very interested in the 20th century in China, but I don’t have the vocabulary yet to understand Chinese movies or books about the subject. I’m lacking in my schedule as I’m only reading my second book, that’s mainly because of poor book choices. I have first bought books that are way too hard for me and it took time for me to admit it. Now I’m only reading books that I feel comfortable with. I don’t read these books in order to learn more vocabulary, I check only a few new words and only if they are essential. I read because I want to create a habit of reading in Chinese and it helps with Chinese skills in general. I also happen to love reading no matter what the language. The first book I read was Lucy in the Sky/公关辣妹的恋爱札记 and my current book is The Make-Up Girl/ 寻找亚当. I’ve found translated books to be often easier than originally Chinese books. The third book I will try is Twiligth/暮色, of course there’s some special vocab there but in general it seems like a fairly easy book. It’s hard for me to make daily habits stick, but I’m just going to try over and over again. I know that Skritter works for me, it’s an amazing tool (app) to keep control of my vocabulary. It helps me to study and review for my 综合 course exams. Besides adding vocabulary from the course’s textbook, I also recently added HSK6, 39 Chengyu and Radicals lists to my study routine. 15 minutes per day is no way enough to pass my exams and the HSK, but it’s a way to make this habit stick. This is the first time I’m saying this goal out loud. First it was just an idea, then something I considered, but now I’m making it a goal. If you follow my Facebook page, then you already know that I got 128/200 points form a listening+reading mock test, that’s 70 from listening and 58 from reading. In the real HSK there is also writing section, but that’s quite hard to score yourself or within a mock test. What I need to pass the HSK6 is 180 points out of 300, that’s 60% correct answers meaning I have to get about 60 points from each thee sections. I did that with my listening mock test and almost with my reading mock test. And this is without any particular study for HSK6. In December it will be a year since I passed HSK5 and right now level 6 doesn’t seem so impossible anymore. I don’t need a pretty score, I just want to pass. During the following three months I will be going over prep books for reading and writing. A fellow student at Sun Yat-Sen University recommended these for me so I bought them from a local bookstore. Doesn’t that look like improvement to you? Be proud of my improvement and feel good about my Chinese skills! Thank you Jonathan for sharing this method! I can see how it’s easilly used to different kind of goals and tasks. procrastination most of the time. boring. There are some great movies out there but not so many. music helps a lot (and there is some good Chinese music). It’s impressive you are going for HSK6, and it seems you are on track to make it! classmates may help you as human being are competitive by nature. I really like the Way of Life App because it’s so simple. I’ve been wanting to unlock it to get more than three goals, but they don’t have it in the Finnish app store and that’s the only store where I can pay. Hopefully I find a solution for this. I actually don’t listen to music that much, not in any language. Sometimes I have days that I listen to some Jay Chou (not a good example of correct pronunciation), but then I can go weeks without listening any music. It’s a bit scary to admit that HSK6 doesn’t seem so scary anymore, luckily I have more than a year to pass it if things don’t go as planned this December. Your goals are inspiring! Good luck with the new semester! I consider my self as quite good at setting goals, but I should do better job at achieving them. Recommending a easy read: 作茧自缚. How’s ur mandarin listening skills? If ur good with that can also try listening to audiobook while having the book in hand. Thank you for your tip! I haven’t tried audio books in Chinese before but it does sound like a great way to practice listening skills. We don’t have any listening course at the uni anymore. If I have problems with listening then it’s usually the matter of my lack of vocabulary. But I should listen to more news to improve my listening skills further. Hi Sara! I wanted to ask you, what books did you finally read last year? I’m planning to read my first novel in Chinese, I think my Chinese level right now might be around the one you had when you started reading novels in Chinese (Skritter says I know 5306 words and 2475 characters), and I thought you might suggest me easy readings to begin with. You said you chose translated books because they were easier than Chinese novels, did you try 余华? (I’ve read that he’s one of the best writers to begin with, but maybe translated books are easier)? I’m thinking of reading Japanese literature translated into Chinese (I’m a fan of Haruki Murakami’s stories), have you read any Japanese book in Chinese? Well, any suggestion will be highly appreciated. Thank you and never stop enjoying your Chinese dream! Basically you have to think what genre you like reading and start from there. Chick lit is usually easier language wise. I’ve hear about Yu Hua’s books being easy, but I haven’t read any. For now I want to read something moder with dialog I could perhaps use my self. I haven’t read any Japanese literature at all.